The Rebel Sweetheart. : Nailed It! 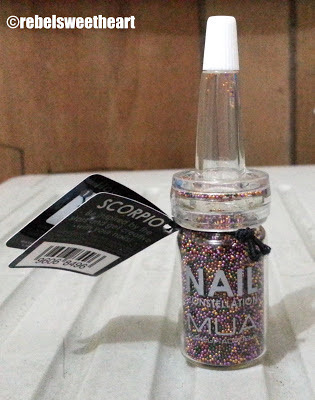 | MUA Nail Constellation. Remember that bottle of MUA Nail Constellation that came with my MUA Lip Boom purchase from Updated Trends? I finally had the chance to use them two Saturdays ago, during my Mum's '50 and Fabulous' birthday party. 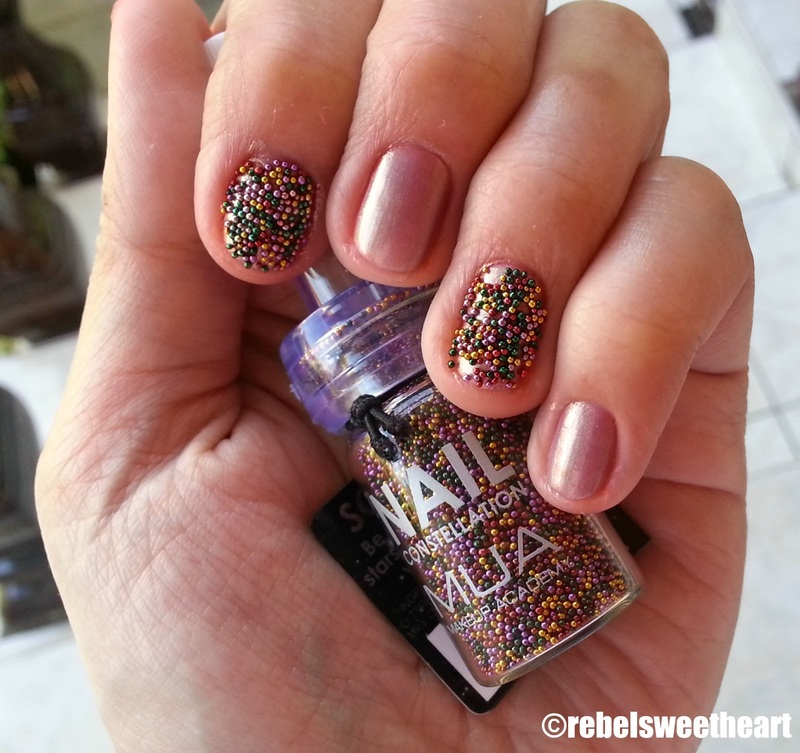 This is my first attempt at doing caviar nails, so pardon me if what I did looks amateurish. It's the same reason why I chose to wear them on just two nails for each hand. I didn't want the product to go to waste lest I do something wrong while applying it. Here's a description of the product as seen on the MUA website. MUA’s amazing NEW Nail Constellation is inspired by the patterns formed into stars in the earth's night sky is a 3-dimensional extravagant nail art system you can create easily from home that leave your nails looking ‘wow!’. These Constellation beads have a beautiful shine to them in five amazing space theme colours. They are easy to use and with them you can create many different designs. Supplied in a funnel for easy application with a re-sealable top! 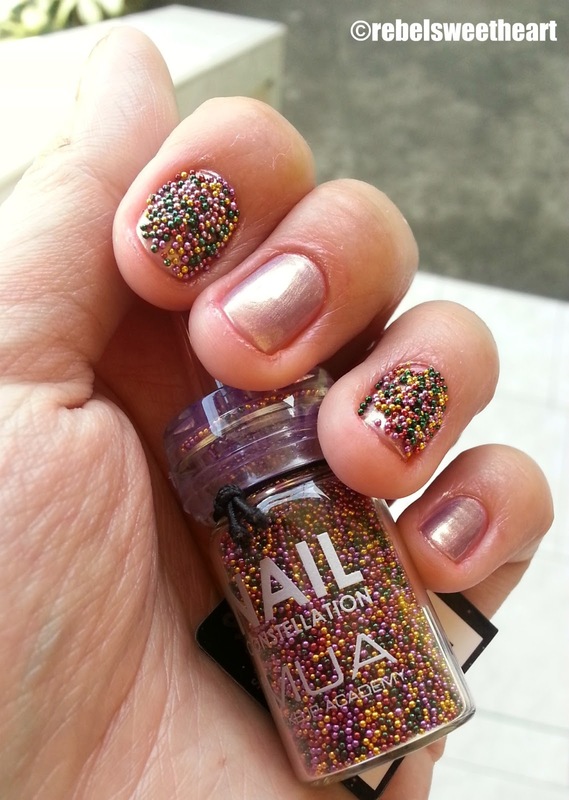 Using the Funnel application simply bed the constellation beads onto to a thick coat of your favourite MUA nail polish in a line design or just placed randomly. 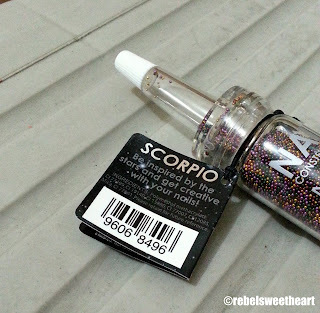 The new range comes in five variants: Pisces, Gemini, Libra, Leo, and Scorpio. I'm not sure where the other seven zodiac signs are; perhaps they'll be released as a separate collection in the future. Mine is Scorpio, as you can see. It's a combination of yellow, green, and purple beads - the most colorful combination and the prettiest in the collection, in my humble opinion. Anyhow, here's an instructional video uploaded on the MUA Cosmetics YouTube channel. It shows the step by step procedure on how to use the MUA Nail Constellation. Just so you know, I used the Sassy Colors Iced Mocha as my base coat. It's the same color on my nails without the Nail Constellation. I applied a top coat, too, and (contrary to that comment on YouTube) it didn't ruin the effect on mine. If anything, adding a top coat made the beads adhere better and last longer on my nails. I wore them for about a week - quite surprising actually, since I did grueling housework during that period of time (ergo, handwashed the laundry and washed the dishes). Next time, I'll just pour the beads in a bowl or a container of some sort and dip my nails into it. That way, no beads will go to waste and it'll save me time from putting back the unused beads inside the tiny jar. this looks little crazy on your nail I guess. Saw different colors from IG, it's really cute! I don't think I can do it by myself even if it looks easy to apply. saw this on the tutorials too and planning to have one. I really fancy those small things , will definitely grab one.